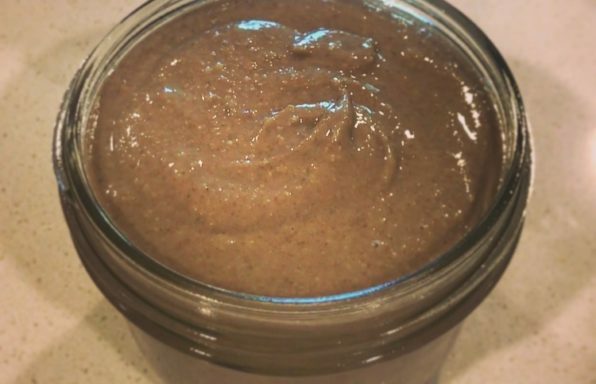 WHAT IS IT: Homemade sunbutter with 3 ingredients in 5 minutes! No nasty oils, chemicals, preservatives or refined sugars! This is our favorite peanut butter replacement. 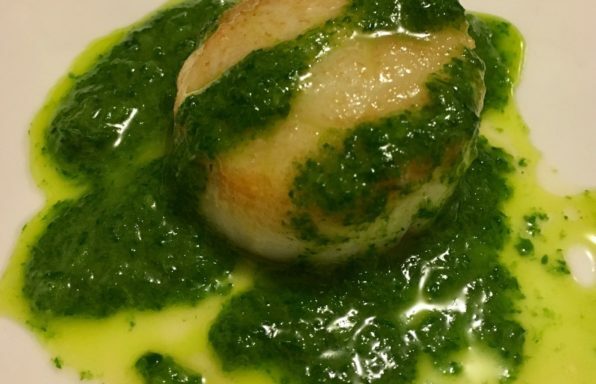 Parsley Bomb Sauce- your life will never be the same after you make this sauce. Add to almost any meal to "spice" up the flavor and take your meal from bland to exciting in 2 seconds flat! 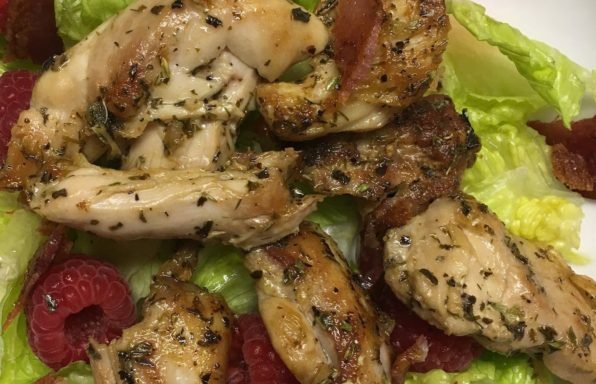 Cooking boneless skinless chicken thighs in coconut oil/bacon fat over medium-high heat creates the best quick flavor! I usually use this technique to make teriyaki chicken, but one night when I had no coconut aminos, I decided to try it out with dried herbs (something we usually always have on hand). Voila! A delicious and super easy meal. Excellent mixed into a salad, especially with crumbled bacon and a vinaigrette. I love the convenience of having ready-made proteins for quick meals. Meatballs are a perfect option, especially when they're mini-meatballs, because they are so versatile. They are flavorful, affordable and quick to make, so they are great for batch cooking. 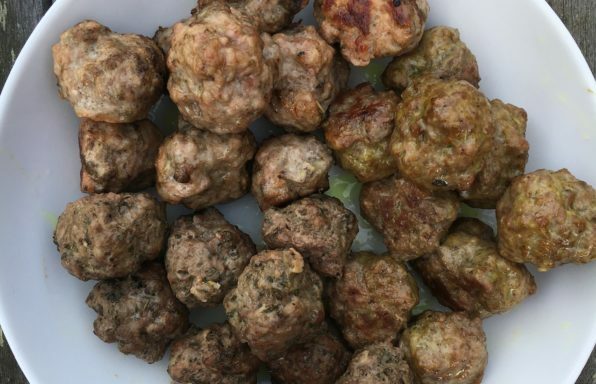 But sometimes I get bored of just one meatball flavor, so I had the idea to combine the convenience of pre-cooking 1.5 pounds of meat with the flavor variety of three types of meatball! You can easily just make one variety by doubling, tripling, or quadrupling one of the recipes, but I like how easy it is to make 3 varieties in under 30 minutes! 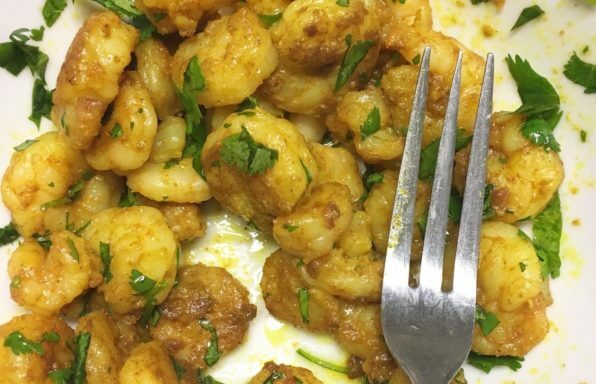 These curry shrimp are a delicious garlic, onion, nightshade and seed-spice free version of the curry shrimp my dad used to make when I was a kid. With a healthy dose of omega-3 fats, easy-to-digest protein and an anti-inflammatory boost from ginger and turmeric, these shrimp are an easy and flavorful addition to any weeknight or special occasion. This is the perfect way to start your day with a dose of healthy fats and no caffeine or added sugar! 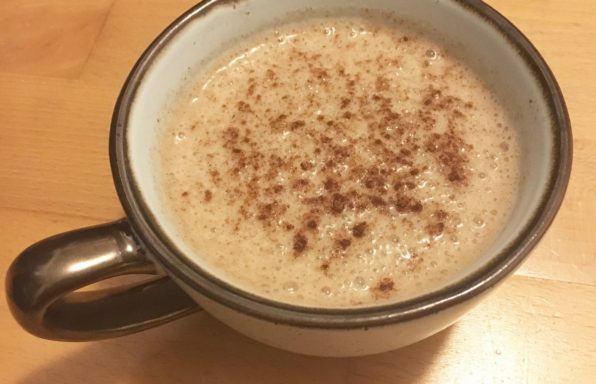 When my blood sugar was still stabilizing, this "latte" would always help keep off the hypoglycemic headaches that would come around midday. Once I tried caldo (broth), the Mexican way, I never looked back. 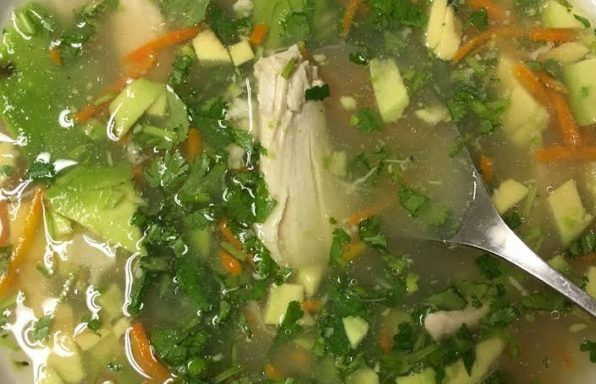 Mexican style chicken soup is the ultimate way to incorporate the healing powers of bone broth in a delicious meal you'll never get tired of. The soft shredded "caroodles" (carrot noodles) melt in your mouth almost like rice, and the tart lime juice and sea salt give a giant flavor punch to each nourishing slurp. 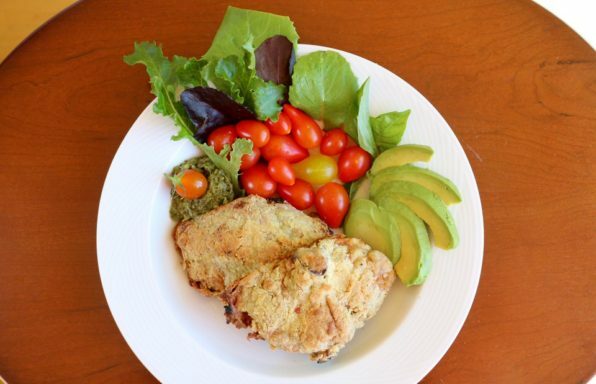 A delicious crispy chicken recipe! 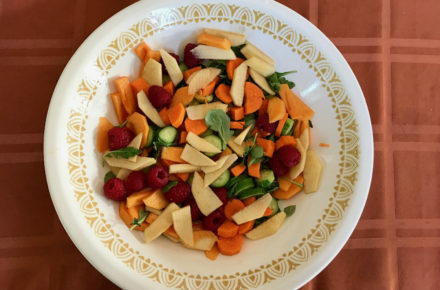 This quick and easy salad offers the deep, crisp flavors of fall fruits on a bed of spicy arugula. A perfect meal for a busy day. Or a great way to get good fats and greens in between meals. 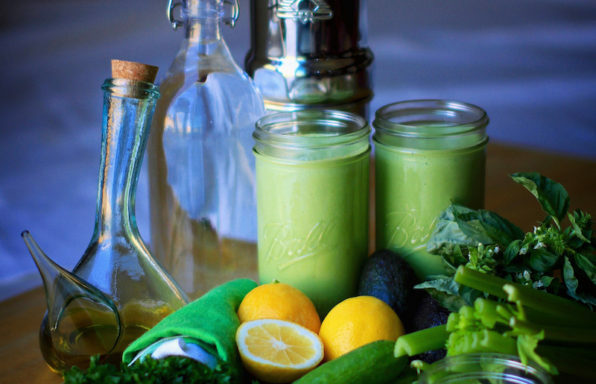 I love to start my mornings with this luxurious green smoothie. The basil and coconut oil give it a wonderfully sweet taste while the lemon and salt add some zing. Try varying the ratio of ingredients to experiment. This delicious alkalinizing morning drink helps balance pH, deliver micronutrients, induce ketosis and fight infections like candida. It's light, refreshing and creamy! Drink half on waking and other half before lunch. This tea is unbelievably soothing. 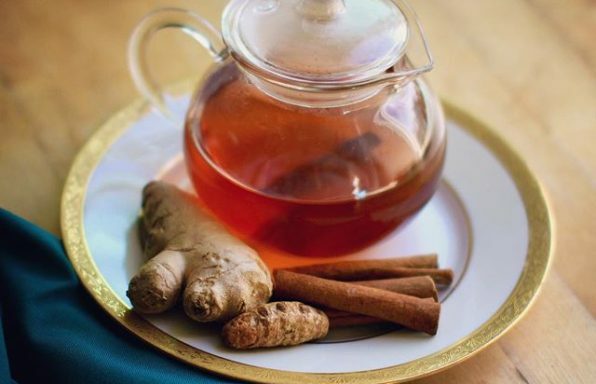 The ginger adds a spicy kick that’s great for digestion. The turmeric is anti inflammatory. And the cinnamon and fennel are legit replacements for sugar. Persian saffron is just magic. It’s the only tri-doshically balanced spice in all of Ayurveda. Did you know there are 3 ways of making turmeric more bio-available? What’s your favorite AIP spice or herb?